The Bhavnagar Municipal Corporation (BMC) functions involve the supervision and creation of basic infrastructure facilities. The BMC is an active body in seeking out new technologies and innovative mechanisms to minimize the cap between services and requirements. As their technology partner, Nascent worked with the BMC in the creation of a complete database of digitized city assets, including a ground survey of total municipal area, property tagging and geo-referencing, as well as on-ground survey of properties. 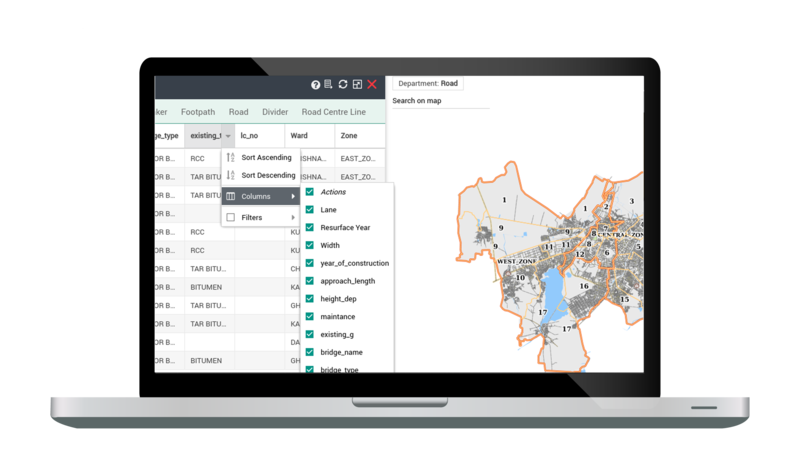 CityLayers, a proprietary Nascent product suite employing powerful GIS tools, was incorporated into existing e-governance applications of the BMC. The base mapping for a full-ward was implemented using the CityLayers Survey App, a part of the suite. The design and development of a carpet area assessment application for the BMC was part of the project. Nascent undertook the supply, installation and maintenance of the municipal geo-portal, provided training and capacity building for users, as well as post implementation support for a period of 5 years.